Our latest local news is shown on our homepage. All news is shown below. Hop Press Crossword - Correction! Hop Press Crossword (June 2010) - unfortunately a printing disaster has led to the printed crossword being incorrect. You can download the correct crossword from here. And if you downloaded before noon on 29th May the length of the 'U' clue should be changed to 6. £900 was raised at Southampton Beer Festival 2010 for Southampton Sight. The cheque was presented to Tom McInulty and his guide dog Brunel at the Wellington Arms. Hilary Jazuk sadly passed away on 10th August 2010. She spent many years as a highly active member in the Southern Hampshire branch of CAMRA, including being our Chairman and Social Secretary, until being struck down by a stroke. She was still active in branch activities (especially brewery trips) for a long time after this. A significant number of people were present at a service to remember Hilary at Southampton Crematorium on Monday 23rd August, and afterwards at the Guide Dog. Bowman Ales generously donated some casks of Swift One, which was sold as "Hilary's Half" with proceeds going to charity. The money made from this and other donations in the Guide Dog raised over £400 for Wessex Cancer Trust. Further donations can be made through J Lawrence Undertakers. Hop Press - October 2010 published. Over 3000 copies of our branch magazine are being delivered to our local pubs, but you can read it now, on-line here. Other beers in the final were: Bowman, Wallops Wood; Crondall, Best; Crondall, Sober as a Judge; and Ringwood, Old Thumper. The first Woolston Beer Festival was a huge success with all tickets sold out in advance. Over 2000 pints of beer and 150 pints of cider were consumed, leaving just 5 beers and one cider left at the end. Our 412 customers also raised £365.91 for our charity 'Hearing Dogs for the Deaf' – a tremendous achievement. Beer of the Festival was Downton Quadhop. A change of use planning application went in on 4th October and there is only a short time to lodge objections to this. A public meeting will be held in Sway Village Hall at 7.30pm on Wednesday 27th October. See our campaign page for details. Earlier this year at Southampton Beer Festival, customers voted the "Howat Dry Cider" from Southampton's cider producer 146 Cider as the best cider of the festival. The Hop Inn, Bitterne Park hosted the presentation which had to be postponed a number of times - the last of which when it snowed heavily a week before. We hope that this will be the first of many awards for 146 Cider. The apples used in the production of the cider are grown locally, near Hedge End, making Howat Dry Cider a truly local product. The award was presented by Rob Whatley, organiser of Southampton Beer Festival 2010. This year we are running our Pub of the Year voting online to enable as many members as possible to participate. Initial details of this year's Southampton Beer Festival are now available. SIBA, the Society of Independent Brewers, has launched a video showing that it is Proud of British Beer. Twitter users can follow the thread #proudofbeer. Following over two months of online voting and voting in person at our February and March branch meetings, we are pleased to announce that our Pub of the Year 2011 is the Wheatsheaf Inn, Shedfield. Please see the pub of the year page for more information. Southampton Beer Festival 2011 - Postal tickets OPEN! We are now OPEN for Postal Ticket sales for Southampton Beer Festival 2011. Early ticket requests received through the post will be processed by late April (when tickets will be available in outlets). The Southampton Beer Festival webpage has been updated with more ticket information. The generous customers of Southampton Beer Festival donated nearly £1000 to the Jubilee Sailing Trust. Rob Whatley (Festival Organiser) and other CAMRA volunteers presented a cheque to the Jubilee Sailing Trust on 23rd June. The latest issue of Hop Press has been published, with over 3000 copies on their way out to pubs. You can read it on-line here. This year we are again running our Pub of the Year voting online to enable as many members as possible to participate. UPDATE: The 2012 winner is the Guide Dog, Earls Road, Southampton. See our Awards Page for this and the previous winners. After many years of including the Southampton Beer Festival site on these pages, we've decided that it deserves its own website. The new site launches today at http://www.southamptonbeerfestival.org.uk/. We hope by doing this that the information will be more clearly presented for our customers, rather than a single (long!) page on this site. The generous customers of Southampton Beer Festival donated nearly £900 to the SS Shieldhall, the largest remaining working steamship in Britian, which is based in Southampton Docks. Rob Whatley (Festival Organiser) and other CAMRA volunteers presented a cheque in the ship’s bridge on 4th August 2012. The SS Shieldhall is a heritage ship which runs excursions, during which the seafarers can sample a wide range of bottled real ales in the well-stocked bar. Southern Hampshire CAMRA paid a visit to the Flowerpots Inn and Brewery to present Brewer Catherine Bate with two certificates. One for winning Beer of the Festival at the Woolston Beer Festival, and another for winning the Bitter category of the London and South East round of the Champion Beer of Britain competition. The winning beer, Flowerpots Bitter, went on to scoop joint bronze in the national competition at the Great British Beer Festival. Tickets for Woolston Beer Festival 2012 went onsale today. Get them quickly as they have sold out rapidly in previous years. There is a correction due on the newsletter which incorrectly says the Waterloo Arms is selling tickets, whilst missing the Guide Dog. We do apologise - for correct and up to date information please see the Woolston Beer Festival website. Thursday 13th September saw the official launch of the 2013 Good Beer Guide. To promote the Guide, members of the Southern Hampshire Branch went to the Platform Tavern and presented landlord Stewart Cross with a complimentary copy of the Guide. As well as sampling Dancing Man (the pub’s microbrewery) Cloud Cuckoo, the new wheat beer, customers had the opportunity to buy the new guide at a bargain introductory price. The much anticipated reopening of the Junction Inn happened on the 7th September. Following the fire the bar has been refurbished, but keeping all the features that make this the Junction Inn. The beer range has been supplemented by up to five local ales. We wish Dawn and Martin continued success. Over 3000 copies of our branch magazine are being delivered to our local pubs, but you can read it now, online here. On behalf of everyone who donated to the Jubilee Sailing Trust at the Woolston Beer Festival in October, we have presented £332 in the conservatory of the Waterloo Arms. To continue our significant efforts in collating our pub data into a branch pub database, we've developed a system for our Good Beer Guide 2014 survey results to be submitted and edited online (password required). 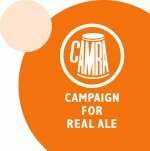 Our pub database is already used to publish our data to CAMRA's national pub guide Whatpub.com (currently in beta testing for CAMRA members only). If you have any photos of our pubs past or present which you're willing to share, please upload them here. Our latest Membership Newsletter is now online for both members and non-members to read. 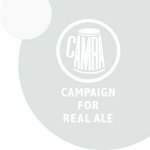 Non-members can Join CAMRA online to help support our campaigning and support of pubs, real ale breweries and real cider makers. This year's Pub of the Year is the Black Horse of West Tytherley! Congratulations to them for being voted the best pub in the Southern Hampshire region. A presentation will be made to Nick and Elaine on the 11th of May. See the diary page for more details. This year's Hampshire Beer of the Year competition will be judged at Southampton Beer Festival in June. The beers that will be judged include those voted the best at Octoberfest, Gosport and Winchester festivals, & those nominated by local CAMRA members. If you are a CAMRA member in Hampshire go to www.wessexcamra.org.uk/branches/hboty to select your nominations. Nominations close at 8pm on 14th May 2013. This year's Hampshire Beer of the Year competition was judged at Southampton Beer Festival on June 8th. Over 3400 people visited Southampton Beer Festival from Thursday 6th June to Saturday 8th June. This year's charity at Southampton Beer Festival was the Joe Glover Trust, which helps give financial, respite and other help to families with children suffering from cancer. £817.30 was raised by donations from the customers of this year's Southampton Beer Festival, and Victoria Stevens, Executive Officer of The Joe Glover Trust (right) receives the cheque from Festival Organisor Rob Whatley and other members of the beer festival team. The customers of Winchester Beer & Cider Festival voted Alfred Brewery's Saxon Bronze as Beer of the Festival. We paid a visit to the tiny Alfred's Brewery on June 14th and beer festival organiser David Mackie (right) presented the award to owner & brewer Steve Haigh. Steve is hard at work now expanding the brewing capabilities of the brewery so he can brew more beers. The Black Horse, West Tytherley is Southern Hampshire CAMRA's Pub of the Year 2013. On Saturday 11th May, Branch Chairman Drew Dyer (left) presented the certificate to Nick (right) & Elaine (centre). Our congratulations are due to Nick & Elaine for running what many regard as the perfect village pub. Vote for your favourite pub. You can change your vote any time before 10pm on the 11th of March. It's a great excuse to visit some great pubs! A group of CAMRA volunteers visited Box Steam Brewery to present the certificate for its Funnel Blower, which won Beer of the Festival at Woolston Beer Festival 2013. The beer of the festival award was voted for by customers. This year's Pub of the Year is the Guide Dog, Bevois Valley, Southampton! Congratulations to The Guide Dog for being voted the best pub in the Southern Hampshire region. A presentation will be made to Paul & Margaret in due course. Keep an eye on our diary page for the date. The generous customers of Southampton Beer Festival donated nearly £900 to the Southampton Opportunity Group, a charity that provides structured play sessions for children (aged 0 to 5) with additional needs. Rob Whatley (Festival Organiser) presented a cheque at our branch meeting on 8th July 2014. Dancing Man Brewery, based at the Platform Tavern, Southampton, won Beer of the Festival for 'Sea City Gold' at Southampton Beer Festival as voted by the customers. Sea City Gold is a beer specially brewed to celebrate the 50th anniversary of Southampton gaining city status. Dancing Man's 'Smoke Rye'Sin' came third in the voting. Here, brewer Aiden (left) and brewery & pub owners Mandy & Stuart receive the awards from festival organiser Rob Whatley (right). The Guide Dog, Earls Road, Bevois Valley, Southampton won Southern Hampshire CAMRA's Pub of the Year 2014 competition. This is their seventh win in ten years. Winning branch Pub of the Year also meant that they went forward for regional judging where they aquited themselves very well winning Runner Up for Wessex Regional Pub of the Year 2014. Here, licensees Paul Barden and Margaret Bridle (centre) receive the awards from Branch Chairman Deric Payne (left) and Branch Secretary Dave Richardson (right). The Flowerpots Inn, Cheriton is Southern Hampshire CAMRA's Pub of the Year 2015, following assessment against CAMRA's national Pub of the Year scoring criteria (which will also be used in the regional and national competitions). The four finaists, selected by CAMRA members before the judging, also included: Guide Dog, Southampton; Butcher's Hook, Southampton; Waterloo Arms, Southampton. A formal presentation of this award will be announced in due course. Two charities benefitted from the generosity of festival goers last week. Over £3000 was raised for Hampshire Search & Rescue and Age UK Winchester. This figure includes a sum donated by the festival itself to reflect the Beer and Cider duty cut given in the Budget last week. If you are a CAMRA member in Hampshire go to the HBOTY page to select your nominations. Nominations close on 10th April 2015. Congratulations to Vibrant Forest Brewery with Metropolis and Gethin's cider with Hapus for coming top of the public vote for Beer and Cider of the festival! Hampshire Beer of the Year, judged by a tasting panel, was won by Flowerpots Brewery with Perridge Pale. £1000 was raised for our charity 'Community Roots'. The generous customers of Southampton Beer Festival donated £1000 to Community Roots, an allotment scheme which aims to provide integrated supported volunteering, training and work experience opportunities to people who have experienced homelessness, mental health, alcohol or substance misuse issues. Branch Chairman Julian Long (left) presented a cheque to Duncan Reade at our branch meeting on 14th July 2015. A busy week in Southampton where we presented awards to the Butcher's Hook, the Guide Dog and the Waterloo Arms for being runners up in our Pub of the Year vote. The presentation to the winning pub, the Flowerpots, Cheriton, is being organised - keep an eye on our diary page. Saturday 15th August saw several CAMRA branches visit Vibrant Forest Brewery for the presentaion of various Beer of the Festival Awards to both Vibrant Forest and the visiting brewers from Betteridge's Brewery. Top left, Vibrant Forest Brewer Kevin Robinson receives the Beer of the Festival from Southampton Beer Festival 2015 for 'Metropolis', presented by Andy Burrows from Southern Hampshire CAMRA; Next, Kevin receives another Beer of the Festival award from Yapton Beer Festival for 'Radicale Oat & Coffee Stout', presented by Philip Wildsmith from Western Sussex CAMRA; Below, Deric Payne from Southern Hampshire CAMRA presents the third place award from Southampton Beer Festival 2015 to Mark & Jenny Betteridge of Betteridge's Brewery for 'Serious Black'. The Royal Oak, Fritham is Southern Hampshire CAMRA's Pub of the Year 2016, following assessment against CAMRA's national Pub of the Year scoring criteria (which will also be used in the regional and national competitions). The four finaists, selected by CAMRA members before the judging, also included: Guide Dog, Southampton; Butcher's Hook, Southampton; and Waterloo Arms, Southampton. A formal presentation of this award will be announced in due course. The Vibrant Forest Brewery in Bowling Green (near Lymington) celebrated its second anniversary. CAMRA gave it another reason to celebrate with Branch Chairman Deric Payne and Social Secretary Andy Burrows presenting brewer Kevin Robinson with an award. Vibrant Forest's Salted Liquorice Stout came second in the Winchester Real Ale and Cider Festival's Beer of the Festival competition. Earlier this year the Royal Oak, Fritham won Southern Hampshire CAMRA's Pub of the Year 2016. Saturday 21st May saw our presentation of the award. From left, Landlord Neil McCulloch, his daughter Cathy Wilson, long serving staff member Marie Barnes and making the presentation, Deric Payne, Chairman of Southern Hampshire CAMRA. The Royal Oak has now gone forward to the regional Pub of the Year competition and we look forward to it doing well. August saw us make two presentations; the first, to Vibrant Forest for their Oat and Coffee Stout, winner of Beer of the Festival at Southampton Beer Festival, then another to Alfred's Brewery for Winchester Pale, winner at Winchester Real Ale & Cider Festival. Online voting is now open, starting the process of selecting our Pub of the Year 2017. Vote for your favourite pubs. You can change your votes any time before 5pm on the 17th of January 2017. The four top pubs will then be surveyed to the same criteria used in subsequent rounds of CAMRA's national pub of the year competition. We're delighted to announce our local branch's Pub of the Year 2017. This year's winner is The Bookshop Alehouse in Portswood, Southampton. The finalist pubs were each visited by four volunteer judges, who assessed them against CAMRA's national Pub of the Year scoring criteria (which will also be used in the regional and national competitions). The four finalists, selected by CAMRA members before the judging, also included: Guide Dog, Southampton; Royal Oak, Fritham; and Waterloo Arms, Southampton. A formal presentation of this award will be announced in due course. Tuesday 2 May saw the presentation of our local branch’s Pub of the Year 2017 award. This year’s winner is The Bookshop Alehouse in Portswood, Southampton. The photos show Branch Chairman Deric Payne presenting the award to landlord Jon Harris, and Jon with staff Tess Wood and Charlie Sunley with the award on the bar. Over 3300 copies of our branch magazine are being delivered to our local pubs, but you can read it now, on-line here. The votes at Southampton Beer Festival for Beer of the Festival & Cider of the Festival have been counted. Congratulations to London Road Brew House with Black Panther Imperial Stout and Westcroft Cider with Janet's Jungle Juice. The festival also raised £1422.53 for Rose Road Association. Visit www.southamptonbeerfestival.org.uk2017/winners to see the full results. Black Panther Imperial Milk Stout brewed by London Road Brew House won Beer of the Festival at Southampton Beer Festival 2017. Brewer Lee Farling (right) receives the award from CAMRA branch chairman Deric Payne and other branch members while pub manager Sian Luker looks on from above! The 8.5% abv stout is a new brew by Lee, and Southampton Beer Festival was privileged to have the special cask version of this – the rest was bottled – and the customers at Southampton Beer Festival judged it to be the best beer there. Online voting is now open, starting the process of selecting our Pub of the Year 2018. Vote for your favourite pubs. You can change your votes any time before 5pm on the 16th of January 2018. The four top pubs will then be surveyed to the same criteria used in subsequent rounds of CAMRA's national pub of the year competition. Members of South Hampshire CAMRA visited the Rose Road Association to officially present a cheque for the money raised on behalf of the charity during last year's Southampton Beer Festival. A total of £1,422.53 was raised at the festival, which was held at Saint Mary's stadium in June 2017, by customers who generously donated unused beer tokens as they left the event. We're delighted to announce our local branch's Pub of the Year 2018. This year's winner is The Guide Dog in Earls Road, Bevois Valley, Southampton. The finalist pubs were each visited by four volunteer judges, who assessed them against CAMRA's national Pub of the Year scoring criteria (which will also be used in the regional and national competitions). The four finalists, selected by CAMRA members before the judging, also included: Bookshop Alehouse, Southampton (last year's winner); Olaf's Tun, Woolston; and Steam Town Brew Co., Eastleigh. A formal presentation of this award will be announced in due course. Caskaway Tasting Rooms wins our first Cider Pub of the Year award! For the very first time, Southern Hampshire CAMRA has chosen a Cider Pub of the Year. Caskaway Tasting Rooms in Oxford Street, Southampton has won our inaugral competition. Caskaway was found to have a great combination of cider choice and quality, served at a decent price and in a friendly atmosphere. The seven shortlisted pubs were visited and judged by the branch's Cider Representative, accompanied and advised by fellow real cider enthusiasts. This year The Railway, Ringwood has achieved 5 consecutive years in the Good Beer Guide. On Saturday 31/03/18 a contingent from CAMRA Southern Hampshire Branch visited The Railway to celebrate. Pictured is Landlord Malcolm Evans (left) receiving a '5 years in the GBG' award from CAMRA Southern Hampshire Branch representative Anthony Moore. Tuesday 10th April saw a splendid turnout at The Guide Dog, Earls Road, Southampton to celebrate the pub being voted CAMRA Southern Hampshire Pub of the Year 2018. Many of the locals were there, along with a good contingent from Southern Hampshire CAMRA and a couple of brewers from Red Cat. Perhaps they were all tempted by the buffet laid on by the pub! Our picture shows Landlord Gary Clements (right) and his staff team with the award. Over 3600 copies of our branch magazine are being delivered to our local pubs, but you can read it now, on-line here. We announced in March that Caskaway Tasting Rooms had won our inaugural Cider Pub of the Year award. On Saturday 12th May members of Southern Hampshire CAMRA paid a visit to The Caskaway in Oxford Street and Philip King (right) presented the award to Caskaway's owner Inn Grosney (left). Caskaway has a great combination of cider choice and quality, served at a decent price and in a friendly atmosphere. In the competition, seven shortlisted pubs were visited and judged by the branch's Cider Representative (Philip King), accompanied and advised by fellow real cider enthusiasts; Caskaway came out on top with the runner up being The Wash House, Milford on Sea.